Ninja Theory released a pretty unexpected surprise on PlayStation 4 earlier this year in the form of Hellblade. The game tackled mental illnesses like schizophrenia in a really interesting way through the use of gameplay, the game’s narrative, and eerie sounds. Ninja Theory’s budget indie game made waves throughout the industry and has even put them up for some awards recognition. The game not only achieved critical acclaim but also managed to sell half a million copies in just a few months, netting a profit for the studio three months ahead of schedule. 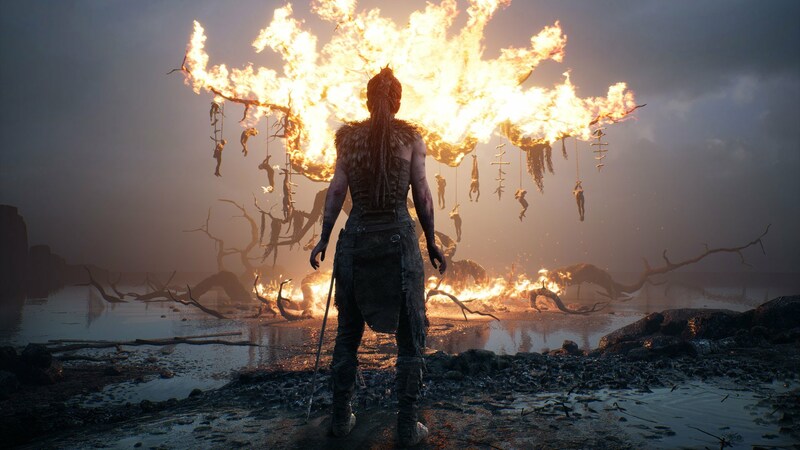 The studio revealed that Hellblade sold 75K copies through pre-orders, another 250K on the first week of release, and thousands more in the following months. In total, the game has earned the studio a total of $13 million. The game was only sold digitally exclusively on PlayStation 4 and PC and is a short single player experience, meaning it eliminated multiple types of consumers and it still managed succeed. With many players and industry veterans concerned about the future of story driven games, Ninja Theory has proved that they’re not dead yet. “AAA will always exist but we need strong alternatives as well… the final step is to share our commercial model and digital sales data for the benefit of other developers” said Ninja Theory Co-founder Tameem Antoniades. Hellblade: Senua’s Sacrifice is out now on PlayStation 4 and PC.